It’s that time again boys and girls! Time for our annual Halloween event! There will be a Costume contest and prizes! 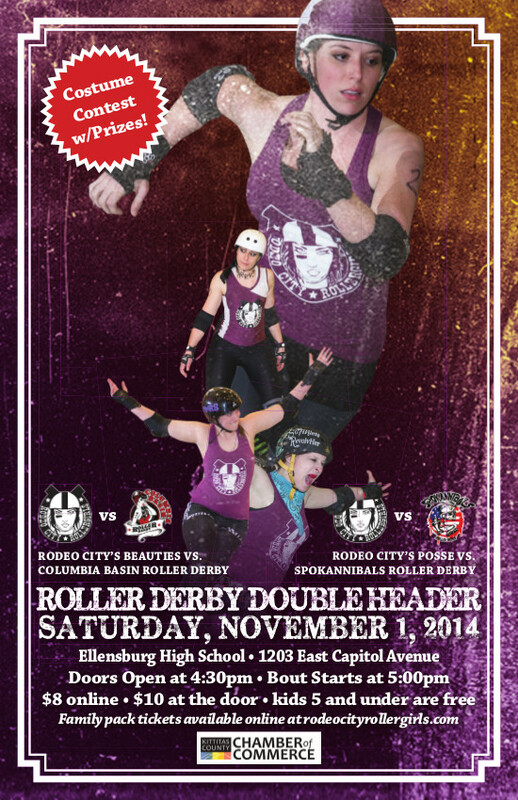 We hope you can make it out for this double header event on November 1st. Rodeo City Beauties take on Columbia Basin Roller Derby. The Rodeo City Posse will be up against the ladies from Spokannibals Roller Derby. The fun all happens at Ellensburg High School, first whistle at 5pm.